The BYU researchers have invented a vacuum-assisted toilet after two years of trial. A cheer for those who get terrified of the noisy airplane toilets. Brigham Young University (BYU) physicists have come out with a way to address their concern. The BYU researchers have invented a vacuum-assisted toilet after two years of trial. This new toilet makes half the noise as compared to a regular airplane commode. "People have told us they don't want their kids to be scared to use the bathroom on a flight. So, we've used good physics to solve the problem," said lead researcher Kent Gee. 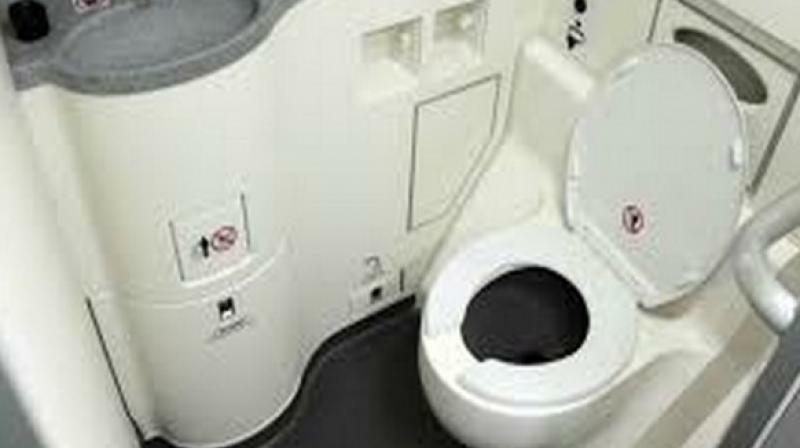 Airplane toilets require partial vacuum so as to flush with little water. At 38,000 feet, it pulls the air at nearly half the speed of sound. When things move at this speed, any interruption can create noise. "Airline companies have always had standards for the toilet noise, but they have never met those and there has never been much pressure to do so," said Sommerfeldt. "Now with the reduced cabin sound levels, the sound of the toilet flushing is more noticeable and customers are pushing back," Sommerfeldt added. The BYU team aimed at three valve conditions during the flush. Further, they added extra piping to increase the distance between the flush valve and the toilet bowl. The pipe attachment at the bowl was given a more gradual bend than the earlier 90 degrees. This new test demonstrated aero acoustically-generated noise dropped up to 16 decibels during the flush valve opening. It showed a 5-10 decibel decrease during the flush valve opening. "The toilet is much quieter and now kids won't think they're going to get sucked out," said Michael Rose, lead author. This new experiment can be effective for use on cruise ships and trains. It can even be used in new green building projects that aim at reducing water usage.